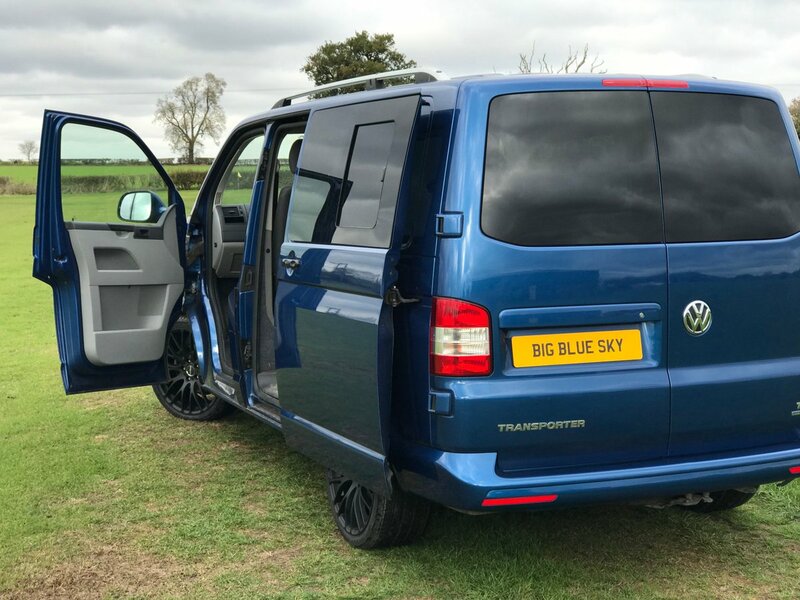 This Low miles, beautiful Volkswagen T5 Transporter is ripe for some Big Blue Sky Campers magic! This conversion will be for sale shortly, the base vehicle is a lovely clean low mileage T5.1 short wheel base. Will have the usual Big Blue Sky Campers attention to detail, and of course a Reimo Elevating Roof & RIB Seating/Bed system. Contact Jonathan for more details!